Pep Boys has been in business since 1921 when four Navy friends pooled their money together to open the first location in Philadelphia. After returning from the Navy and seeing car ownership increasing with the new assembly line production for the Ford Model T, the four friends saw an opportunity for a need for auto accessories. As the auto aftermarket changed over the years, Pep Boys shifted their business model to service and tire centers. Pep Boys now operates over 7,400 service bays in more than 800 stores all over the nation. You can now find all the great products the Pep Boys offer online. If you are looking to save on your online order, you are in the right place. Grab a coupon from this page and start shopping or continue reading to learn more about Pep Boys. You can find almost everything you need for your vehicle online at Pep Boys. Shop and save on everything you need to improve or repair you car, truck, or performance vehicle. You can find the basics like tires, brakes, and batteries as well as all the hand tools to get the job done. Browse a broad range of accessories like seat covers, floor mats, exterior items, security, and more. You can even find items for your next tailgate party. If you love to keep your vehicle clean, shop online for wax and car detailing items as well as motor oil and antifreeze. Are you a performance vehicle enthusiast? Find air and fuel delivery items as well as suspension and brake kits for all your horsepower needs. You can save every week by viewing the weekly ad on the Pep Boys site. Offers usually change every six or seven days. You can save on tires, car care bundles, oil changes, batteries, accessories, and more. If you’re an auto shop or do-it-yourself kind of handyman, you’re going to love the weekly ads. 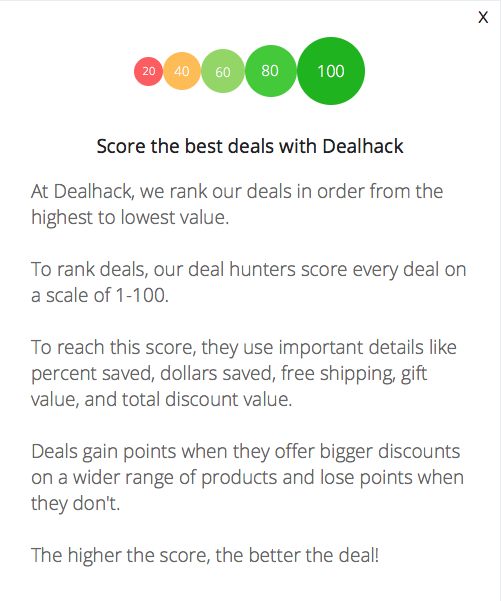 Our team here at Dealhack makes sure to have the latest online coupons right here for you on this page. You can also view the Pep Boys coupon page on their site for additional savings. Sort coupons by merchandise or coupons or view them all for great savings. Pep Boys offers more significant savings in the category specific deals section. Find excellent deals on tires, batteries, and brake kits. Plus, even find great manufacturer rebates to save on great brands. Join the Pep Boys rewards program today for great discounts and free evaluations. Get free evaluations for your tires or check engine light as well as discounts on tire rotations, air pressure, flat tire repair, and towing. Earn rewards on every purchase that can be used to pay for future orders. Who doesn’t love finding a great deal? Be sure to shop the sale section online at Pep Boys to find great items at reduced prices. You can search sale items by category or view your local store ads. Always check the sale section first to pay less for the items you need. We’ve created this page to bring you the latest coupon codes and promotions. For any offers that have a code attached, copy the code and apply it in the “promotion code” box before you checkout. Many of our offers will just need to be clicked on to be redirected to the category of your choice. Our coupons on this page are rated by our coupon experts, and you can find the best offer on the top of this page. View the weekly ad section for great savings on tires, car care kits, and more. Are you an automotive professional? Visit the Pep express section on their site to pay invoices and order everything you need online. Visit the coupons section on the Pep Boys website for monthly offers we might not have on this page. Join the Pep Boys auto rewards program to earn rewards on any purchase. Plus, get free vehicle inspections and exclusive member-only discounts. Schedule your next service appointment with the Pep Boys app. What is Today's Best Pep Boys Coupon? Currently, the best Pep Boys coupon is 'Buy 3 Tires, Get the 4th Free Instantly'. There is no code required to claim this offer. All shipping charges will be calculated based on the weight, size, and delivery method. All shipping charges will be calculated at checkout. If you are not satisfied with your Pep Boys order, you have 90 days to return it to your local store or send it to their returns processing center. For more information, read the Pep Boys returns policy. Do you have a question for the customer service team? You can contact Pep Boys on their contact page or by calling 1-800-737-2697. If you are an automotive lover, be sure to follow Pep Boys on social media for great pictures and company updates. Follow Pep Boys on Facebook, Twitter, and Instagram.